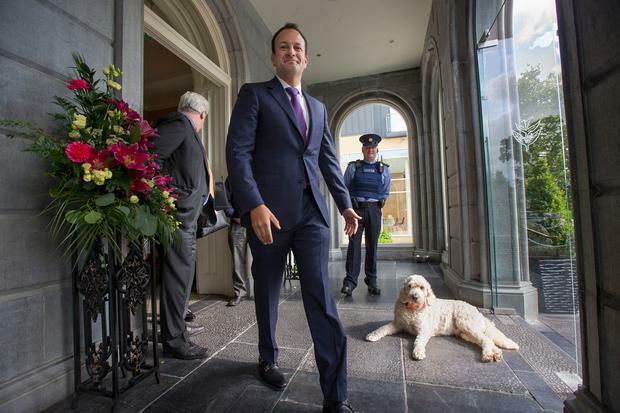 Taoiseach Leo Varadkar does not believe the country is ready for abortion on demand. While promising that the next referendum held by the Government will be on the Eighth Amendment, Mr Varadkar said he doesn’t know what options will be given to voters. The Citizens’ Assembly recommended access to terminations in a variety of circumstances, with a majority favouring available up to 12 weeks’ gestation. Asked about the Assembly’s report, Mr Varadkar said: “I honestly don’t know if the public would go as far as what the Citizens' Assembly have recommended. “Public opinion polls have indicated that they wouldn’t but that may change during the course of the debate and having observed the Citizens' Assembly and how that debate evolved, we have become aware of the availability of abortion pills and how they work. The Taoiseach indicated Fine Gael TDs will be allowed to campaign on either side of the debate once the referendum campaign starts – but insisted it would fracture the party. “The fact that it is a free vote, is a recognition that this is a deeply personal issue. It is one that within families, within friends, within a political party, there is a diversity of views. “I want the Fine Gael that I lead to be a big tent, and to be a warm house, to people to hold all sorts of views on this particular issue,” he said. Foreign Affairs Minister Simon Coveney also said that he’d be “surprised” if voters agreed to a liberal abortion regime “without a lot of reassurance and a lot of debate”. Tánaiste Frances Fitzgerald described the issue as “very complex” for individuals and families. “I have always thought the constitution is not the place to deal with this issue. In terms of the legislative response, we have to engage in that work.